1. Koch, A.L., The adaptive responses of Escherichia coli to a feast and famine existence, Adv. Microbial Physiol., 6, 147, 1971. Estep, K.W. et al., How important are oceanic algal nanoflagellates in bacterivory, Limnol. Oceanogr., 31, 646, 1986. Bird, D.F. and Kalff, J., Bacterial grazing by planktonic lake algae, Science, 231, 493, 1986. Azam, F. et al., The ecological role of water-column microbes in the sea, Mar. Ecol.-Prog. Ser, 10, 257, 1983. Larsson, U. and Hagstrom, A., Phytoplankton exudate release as an energy-source for the growth of pelagic bacteria, Mar. Biol., 52, 199, 1979. Larsson, U. and Hagstrom, A., Fractionated phytoplankton primary production, exudate release and bacterial production in a Baltic eutrophication gradient, Mar. Biol., 67, 57, 1982. Thomas, J.P., Release of dissolved organic matter from natural populations of marine phytoplankton, Mar. Biol., 11, 311, 1971. Bell, W. and Mitchell, R., Chemotactic and growth responses of marine bacteria to algal extracellular products, Biol. Bull., 143, 265, 1972. Andersen, P. and Fenchel, T., Bacterivory by microheterotrophic flagellates in sea-water samples, Limnol. Oceanogr., 30, 198, 1985. Fenchel, T., Ecology of heterotrophic microflagellates. 4. Quantitative occurrence and importance as bacterial consumers, Mar. Ecol.-Prog. Ser., 9, 35, 1982. Nielsen, T.G. and Richardson, K., Food-chain structure of the North-Sea plankton communities: seasonal variations of the role of the microbial loop, Mar. Ecol.-Prog. Ser., 56, 75, 1989. Sherr, B.F., Sherr, E.B., and Fallon, R.D., Use of monodispersed, fluorescently labeled bacteria to estimate in-situ protozoan bacterivory, Appl. Environ. Microbiol., 53, 958, 1987. Wright, R.T. and Coffin, R.B., Measuring microzooplankton grazing on planktonic marine-bacteria by its impact on bacterial production, Microb. Ecol., 10, 137, 1984. Goldman, J.C. and Caron, D.A., Experimental studies on an omnivorous microflagel-late — implications for grazing and nutrient regeneration in the marine microbial food-chain, Deep-Sea Res., A 32, 899, 1985. Drebes, G. and Schnepf, E., Gyrodinium undulans Hulburt, a marine dinoflagellate feeding on the bloom-forming diatom Odontella aurita, and on copepod and rotifer eggs, Helgol. Meeresunters, 52, 1, 1998. Caron, D.A. et al., Nutrient cycling in a microflagellate food-chain. 2. Population-dynamics and carbon cycling, Mar. Ecol.-Prog. Ser., 24, 243, 1985. Goldman, J.C. et al., Nutrient cycling in a microflagellate food-chain. 1. Nitrogen dynamics, Mar. Ecol.-Prog. Ser., 24, 231, 1985. Goldman, J.C. and Dennett, M.R., Dynamics of prey selection by an omnivorous flagellate, Mar. Ecol.-Prog. Ser., 59, 183, 1990. Berg, H.C., Dynamic properties of bacterial flagellar motors, Nature, 249, 77, 1974. Taylor, G., Analysis of the swimming of microscopic organisms, Proc. R. Soc. Lond. Ser. A, 209, 447, 1951. Taylor, G., The action of waving cylindrical tails in propelling microscopic organisms, Proc. R. Soc. Lond. Ser. A, 211, 225, 1952. Gray, J. and Hancock, G.J., The propulsion of sea-urchin spermatozoa, J. Exp. Biol., 32, 802, 1955. Hancock, G.J., The self-propulsion of microscopic organisms through liquids, Proc. R. Soc. Lond. Ser. A, 217, 96, 1953. Brokaw, C.J., Non-sinusoidal bending waves of sperm flagella, J. Exp. Biol., 43, 155, 1965. 25. Silverman, M. and Simon, M., Flagellar rotation and mechanism of bacterial motility, Nature, 249, 73, 1974. 26. Depamphilis, M.L. and Adler, J., Fine structure and isolation of hook-basal body complex of flagella from Escherichia-coli and Bacillus-subtilis, J. Bacteriol., 105, 384, 1971. 27. Okrend, A.G. and Doetsch, R.N., Plasmolysis and bacterial motility — a method for study of membrane function, Archiv Mikrobiol., 69, 69, 1969. 28. Vaituzis, Z. and Doetsch, R.N., Flagella of Escherichia coli spheroplasts, J. Bacteriol., 91, 2103, 1966. 29. Machin, K.E., Control and synchronization of flagellar movement, Proc. R. Soc. Lond. Ser. B-Biol. Sci, 158, 88, 1963. 30. Higdon, J.J.L., Hydrodynamic analysis of flagellar propulsion, J. Fluid Mech, 90, 685, 1979. 31. Higdon, J.J.L., Hydrodynamics of flagellar propulsion — helical waves, J. Fluid Mech, 94, 331, 1979. 32. Lowndes, A.G., The swimming of unicellular flagellate organisms, Proc. Zool. Soc. London A., 114, 325, 1944. 33. Lowndes, A.G., Swimming of Monas-stigmatica, Nature, 155, 579, 1945. 34. Holwill, M.E.J., Motion of Euglena viridis — role of flagella, J. Exp. Biol., 44, 579, 1966. 35. Chwang, A.T., Wu, T.Y., and Winet, H., Locomotion of Spirilla, Biophys. J., 12, 1549, 1972. 36. Lighthill, J., Helical distributions of stokeslets, J. Eng. Math., 30, 35, 1996. 37. Ramia, M., Numerical-model for the locomotion of Spirilla, Biophys. J., 60, 1057, 1991. 38. Jahn, T.L., Landman, M.D., and Fonseca, J.R., Mechanism of locomotion of flagellates. 2. Function of mastigonemes of Ochromonas, J. Protozool, 11, 291, 1964. 39. Brennen, C., Locomotion of flagellates with mastigonemes, J. Mechanochem. Cell. Motil, 3, 207, 1976. 40. Taylor, G., Analysis of the swimming of long and narrow animals, Proc. R. Soc. Lond. Ser. A, 214, 158, 1952. 41. 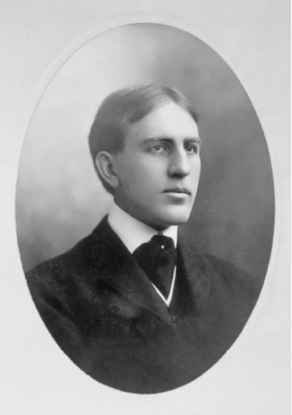 Holwill, M.E.J. and Sleigh, M.A., Propulsion by hispid flagella, J. Exp. Biol., 47, 267, 1967. 42. Fauci, L.J., A computational model of the fluid dynamics of undulatory and flagellar swimming, Am. Zool., 36, 599, 1996. 43. Gaines, G. and Taylor, F.J.R., Form and function of the dinoflagellate transverse flagellum, J. Protozool., 32, 290, 1985. 44. Christensen-Dalsgaard, K.K., and Fenchel, T., Complex flagellar motions and swimming patterns of the flagellates Paraphysomonas vestita and Pteridomonas danica, Protist, 155, 79, 2004. 45. Gueron, S. and Liron, N., Ciliary motion modeling, and dynamic multicilia interactions, Biophys. J., 63, 1045, 1992. 46. Gueron, S. and Levit-Gurevich, K., Computation of the internal forces in cilia: application to ciliary motion, the effects of viscosity, and cilia interactions, Biophys. J., 74, 1658, 1998. 47. Blake, J., Hydrodynamic calculations on movements of cilia and flagella. 1. Paramecium, J. Theor. Biol., 45, 183, 1974. 48. Wu, T.Y., Hydrodynamics of swimming at low Reynolds-numbers, Fortschr Zool., 24, 149, 1977. Kiorboe, T. and Visser, A.W., Predator and prey perception in copepods due to hydromechanical signals, Mar. Ecol.-Prog. Ser., 179, 81, 1999. Svensen, C. and Kiorboe, T., Remote prey detection in Oithona similis: hydromechanical versus chemical cues, J. Plankton Res., 22, 1155, 2000. Tiselius, P. and Jonsson, PR., Foraging behavior of 6 calanoid copepods — observations and hydrodynamic analysis, Mar. Ecol.-Prog. Ser., 66, 23, 1990. Fenchel, T., Ecology of heterotrophic microflagellates. 2. Bioenergetics and growth, Mar. Ecol.-Prog. Ser., 8, 225, 1982. Fenchel, T. and Finlay, B.J., Respiration rates in heterotrophic, free-living protozoa, Microb. Ecol, 9, 99, 1983. Christensen-Dalsgaard, K.K. and Fenchel, T., Increased filtration efficiency of attached compared to free swimming flagellates, Aquat. Microb. Ecol., 33, 77, 2003. Gerritsen, J. and Strickler, J.R., Encounter probabilities and community structure in zooplankton — mathematical-model, J. Fisheries Res. Board Canada 34, 73, 1977. Tanaka, T. and Rassoulzadegan, F., Full-depth profile (0-2000 m) of bacteria, heterotrophic nanoflagellates and ciliates in the NW Mediterranean Sea: vertical partitioning of microbial trophic structures, Deep-Sea Res. Part II-Top. Stud. Oceanogr, 49, 2093, 2002. Matz, C. and Jurgens, K., Interaction of nutrient limitation and protozoan grazing determines the phenotypic structure of a bacterial community, Microb. Ecol., 45, 384, 2003. Higdon, J.J.L., Generation of feeding currents by flagellar motions, J. Fluid Mech, 94, 305, 1979. Mathews, C.K. and Van Holde, K.E., Biochemistry, Benjamin/Cummings, Menlo Park, CA, 1996. Eccleston-Parry, J.D. and Leadbeater, B.S.C., A comparison of the growth-kinetics of 6 marine heterotrophic nanoflagellates fed with one bacterial species, Mar. Ecol.-Prog. Ser, 105, 167, 1994. Bowen, J.D., Stolzenbach, K.D., and Chisholm, S.W., Simulating bacterial clustering around phytoplankton cells in a turbulent ocean, Limnol. Oceanogr., 38, 36, 1993. Blackburn, N., Fenchel, T., and Mitchell, J., Microscale nutrient patches in planktonic habitats shown by chemotactic bacteria, Science, 282, 2254, 1998. Blackburn, N. and Fenchel, T., Modelling of microscale patch encounter by chemo-tactic protozoa, Protist, 150, 337, 1999. Fenchel, T., Ecology of heterotrophic microflagellates. 3. Adaptations to heterogeneous environments, Mar. Ecol.-Prog. Ser., 9, 25, 1982. Rivier, A. et al., Growth of microzooplankton: a comparative study of bacterivotous zooflagellates and ciliates, Mar. Microb. Food Webs 1, 51, 1985. Davidson, L.A., Ultrastructure, behavior, and algal flagellate affinities of the helioflagellate Ciliophyrys-marina, and the classification of the helioflagellates (Protista, Actinopoda, Heliozoea), J. Protozool, 29, 19, 1982. Kiorboe, T. and Titelman, J., Feeding, prey selection and prey encounter mechanisms in the heterotrophic dinoflagellate Noctiluca scintillans, J. Plankton Res., 20, 1615, 1998. Fenchel, T., Suspended marine bacteria as a food source, in Flow of Material and Energy in Marine Ecosystems, Fasham, M.J., Ed., Plenum Press, New York, 1984, p. 301. Shimeta, J. and Jumars, P. A., Physical-mechanisms and rates of particle capture by suspension-feeders, Oceanogr. Mar. Biol., 29, 191, 1991. 70. Monger, B.C. and Landry, M.R., Direct-interception feeding by marine zooflagellates — the importance of surface and hydrodynamic-forces, Mar. Ecol.-Prog. Ser., 65, 123, 1990. 71. Monger, B.C., Landry, M.R., and Brown, S.L., Feeding selection of heterotrophic marine nanoflagellates based on the surface hydrophobicity of their picoplankton prey, Limnol. Oceanogr., 44, 1917, 1999. 72. Shimeta, J., Diffusional encounter of submicrometer particles and small-cells by suspension feeders, Limnol. Oceanogr., 38, 456, 1993. 73. Rothschild, B.J. and Osborn, T.R., Small-scale turbulence and plankton contact rates, J. Plankton Res., 10, 465, 1988. 74. Ki0rboe, T. and Saiz, E., Planktivorous feeding in calm and turbulent environments, with emphasis on copepods, Mar. Ecol.-Prog. Ser., 122, 135, 1995. 75. Marrase, C. et al., Grazing in a turbulent environment — energy-dissipation, encounter rates, and efficacy of feeding currents in Centropages-Hamatus, Proc. Natl. Acad. Sci. U.S.A., 87, 1653, 1990. 76. Peters, F. and Gross, T., Increased grazing rates of microplankton in response to small-scale turbulence, Mar. Ecol.-Prog. Ser., 115, 299, 1994. 77. Shimeta, J., Jumars, P. A., and Lessard, E.J., Influences of turbulence on suspensionfeeding by planktonic protozoa — experiments in laminar shear fields, Limnol. Oceanogr., 40, 845, 1995. 78. Peters, F., Choi, J.W., and Gross, T., Paraphysomonas imperforata (Protista, Chry-somonadida) under different turbulence levels: feeding, physiology and energetics, Mar. Ecol.-Prog. Ser, 134, 235, 1996. 79. Jorgensen, C.B., Fluid mechanical aspects of suspension feeding, Mar. Ecol.-Prog. Ser., 11, 89, 1983. 80. Fenchel, T., Protozoan filter feeding, Progr. Protistol., 1, 65, 1986. 81. Fenchel, T., Relation between particle-size selection and clearance in suspensionfeeding ciliates, Limnol. Oceanogr., 25, 733, 1980. 82. Fenchel, T., Suspension feeding in ciliated protozoa — functional-response and particle-size selection, Microb. Ecol., 6, 1, 1980. 83. Smith, D.C. et al., Intense hydrolytic enzyme-activity on marine aggregates and implications for rapid particle dissolution, Nature, 359, 139, 1992. 84. Ki0rboe, T. et al., Mechanisms and rates of bacterial colonization of sinking aggregates, Appl. Environ. Microbiol., 68, 3996, 2002. 85. Fenchel, T., Eppur si muove: many water column bacteria are motile, Aquat. Microb. Ecol., 24, 197, 2001. 86. Grossart, H.P. et al., Bacterial colonization of particles: growth and interactions, Appl. Environ. Microbiol., 69, 3500, 2003. 87. Martinez, J. et al., Variability in ectohydrolytic enzyme activities of pelagic marine bacteria and its significance for substrate processing in the sea, Aquat. Microb. Ecol., 10, 223, 1996. 88. Ki0rboe, T. et al., Dynamics of microbial communities on marine snow aggregates: colonization, growth, detachment, and grazing mortality of attached bacteria, Appl. Environ. Microbiol., 69, 3036, 2003. 89. Ki0rboe, T. et al., Particle-associated flagellates: swimming patterns, colonization rates, and grazing on attached bacteria, Aquat. Microb. Ecol., 35, 141, 2004. 90. Ki0rboe, T., Marine snow microbial communities: scaling of abundances with aggregate size, Aquat. Microb. Ecol., 33, 67, 2003. 91. Caron, D.A. et al., Heterotrophic bacteria and bacterivorous protozoa in oceanic macro-aggregates, Science, 218, 795, 1982. Artolozaga, I. et al., Succession of bacterivorous protists on laboratory-made marine snow, J. Plankton Res., 19, 1429, 1997. Coppellotti, O. and Matarazzo, P., Ciliate colonization of artificial substrates in the Lagoon of Venice, J. Mar. Biol. Assoc. U.K., 80, 419, 2000. Lighthill, J., Flagellar hydrodynamics — Neumann, Jv Lecture, 1975, SIAM Rev., 18, 161, 1976. Jonsson, P.R., Johansson, M., and Pierce, R.W., Attachment to suspended particles may improve foraging and reduce predation risk for tintinnid ciliates, Limnol. Ocean-ogr., 49, 1907, 2004. Fukuda, H. and Koike, I., Feeding currents of particle-attached nanoflagellates — A novel mechanism for aggregation of submicron particles, Mar. Ecol.-Prog. Ser., 202, 101, 2000. Blake, J.R. and Otto, S.R., Filter feeding, chaotic filtration, and a blinking Stokeslet, Theor. Comput. Fluid Dyn., 10, 23, 1998. Orme, B.A.A., Otto, S.R., and Blake, J.R., Enhanced efficiency of feeding and mixing due to chaotic flow patterns around choanoflagellates, IMA J. Math. Appl. Med. Biol., 18, 293, 2001. Grunbaum, D., A model of feeding currents in encrusting bryozoans shows interference between zooids within a colony, J. Theor. Biol., 174, 409, 1995. Fenchel, T. and Glud, R.N., Veil architecture in a sulphide-oxidizing bacterium enhances countercurrent flux, Nature, 394, 367, 1998. Grunbaum, D., Hydromechanical mechanisms of colony organization and cost of defense in an encrusting bryozoan, Membranipora membranacea, Limnol. Oceanogr., 42, 741, 1997. Ki0rboe, T. and Thygesen, U.H., Fluid motion and solute distribution around sinking aggregates. II. Implications for remote detection by colonizing zooplankters, Mar. Ecol.-Prog. Ser., 211, 15, 2001. Brown, D.A. and Berg, H.C., Temporal stimulation of chemotaxis in Escherichia coli, Proc. Natl. Acad. Sci. U.S.A., 71, 1388, 1974. Fenchel, T., Microbial behavior in a heterogeneous world, Science, 296, 1068, 2002. Hader, D.P et al., Gravitaxis and graviperception in flagellates, in Space Life Sciences: Gravity-Related Processes in Plants, Pergamon, Oxford, 2003, p. 2181. Fenchel, T. and Blackburn, N., Motile chemosensory behaviour of phagotrophic protists: mechanisms for and efficiency in congregating at food patches, Protist, 150, 325, 1999. Roberts, A.M. and Deacon, F.M., Gravitaxis in motile micro-organisms: the role of fore-aft body asymmetry, J. Fluid Mech., 452, 405, 2002. Turner, L., Ryu, W.S., and Berg, H.C., Real-time imaging of fluorescent flagellar filaments, J. Bacteriol., 182, 2793, 2000. Larsen, S.H. et al., Change in direction of flagellar rotation is basis of chemotactic response in Escherichia-coli, Nature, 249, 74, 1974. Adler, J., Chemoreceptors in bacteria, Science, 166, 1588, 1969. Dusenbery, D.B., Minimum size limit for useful locomotion by free-swimming microbes, Proc. Natl. Acad. Sci. U.S.A., 94, 10949, 1997. Blackburn, N. and Fenchel, T., Influence of bacteria, diffusion and sheer on micro-scale nutrient patches, and implications for bacterial chemotaxis, Mar. Ecol.-Prog. Ser., 189, 1, 1999. Jennings, H.S., On the significance of the spiral swimming of organisms, Am. Nat., 35, 369, 1901. 114. Crenshaw, H.C., Orientation by helical motion. 1. Kinematics of the helical motion of organisms with up to 6-degrees of freedom, Bull. Math. Biol., 55, 197, 1993. 115. Crenshaw, H.C., Orientation by helical motion. 3. Microorganisms can orient to stimuli by changing the direction of their rotational velocity, Bull. Math. Biol., 55, 231, 1993. 116. Crenshaw, H.C. and Edelsteinkeshet, L., Orientation by helical motion. 2. Changing the direction of the axis of motion, Bull. Math. Biol., 55, 213, 1993. 117. Crenshaw, H.C., A new look at locomotion in microorganisms: rotating and translating, Am. Zool., 36, 608, 1996. 118. Naitoh, Y. and Sugino, K., Ciliary movement and its control in paramecium, J. Protozool., 31, 31, 1984. 119. Eckert, R., Bioelectric control of ciliary activity, Science, 176, 473, 1972. 120. Iwadate, Y. and Suzaki, T., Ciliary reorientation is evoked by a rise in calcium level over the entire cilium, Cell Motil. Cytoskeleton, 57, 197, 2004. 121. Hyams, J.S. and Borisy, G.G., Isolated flagellar apparatus of Chlamydomonas — characterization of forward swimming and alteration of waveform and reversal of motion by calcium-ions in vitro, J. Cell Sci., 33, 235, 1978. 122. Holwill, M.E.J. and McGregor, J.L., Control of flagellar wave movement in Crithidia-oncopelti, Nature, 255, 157, 1975. 123. Cook, S.P et al., Sperm chemotaxis — egg peptides control cytosolic calcium to regulate flagellar responses, Dev. Biol., 165, 10, 1994. 124. Brokaw, C.J., Calcium and flagellar response during chemotaxis of bracken sperma-tozoids, J. Cell. Physiol., 83, 151, 1974. 125. Fenchel, T., How dinoflagellates swim, Protist, 152, 329, 2001. 126. Hader, D.P, Polarotaxis, gravitaxis and vertical phototaxis in the green flagellate, Euglena-gracilis, Arch. Microbiol., 147, 179, 1987. 127. Kessler, J.O., Hill, N.A., and Hader, D.P., Orientation of swimming flagellates by simultaneously acting external factors, J. Phycol., 28, 816, 1992. 128. Hemmersbach, R., Volkmann, D., and Hader, D.P, Graviorientation in protists and plants, J. Plant Physiol., 154, 1, 1999. 129. Brinkman, K., No geotaxis in euglena, Z. Pflanzenphysiol., 59, 12, 1968. 130. Dembowski, J., Die Vertikalbewegungen von Paramecium caudatum, Arch. Protis-tenkd., 74, 153, 1931. 131. Fukui, K. and Asai, H., Negative geotactic behavior of Paramecium-caudatum is completely described by the mechanism of buoyancy-oriented upward swimming, Biophys. J., 47, 479, 1985. 132. Wagner, H., On the effect of gravity upon the movements and aggregation of Euglena viridis and other micro-organisms., Proc. R. Soc. Lond. Ser. A, 201, 333, 1911. 133. Fenchel, T. and Finlay, B.J., Geotaxis in the ciliated protozoan Loxodes, J. Exp. Biol., 110, 17, 1984. 134. Lebert, M. and Hader, D.P., How Euglena tells up from down, Nature, 379, 590, 1996. 135. Lebert, M. and Hader, D.P., Negative gravitactic behavior of Euglena gracilis can not be described by the mechanism of buoyancy-oriented upward swimming, in Life Sciences: Microgravity Research, 1999, p. 851. 136. Grunbaum, D., Predicting availability to consumers of spatially and temporally variable resources, Hydrobiologia, 480, 175, 2002.